New York, April 09, 2019 (SPS) - The UN Security Council is scheduled to hold a consultation on the situation in Western Sahara on Wednesday morning in New York in the light of the UN Secretary-General's report, during which the Council will hear a briefing by Personal Envoy Horst Koehler, And another directly to the Special Representative and Head of the United Nations Mission for the Referendum in Western Sahara (MINURSO), Mr. Colin Stewart. As part of the communication with the members of the Security Council, Dr. Sidi Mohamed Omar, representative of the Frente POLISARIO to the United Nations, sent a letter to Ambassador Christoph Hooschen, Permanent Representative of Germany to the United Nations and current President of the Security Council, Through which he expressed the position of the Frente POLISARIO of series of issues included in the report of the Secretary-General as well as prospects for the United Nations-led political process in Western Sahara. I would like to express the Frente POLISARIO’s sincere congratulations on your assumption of the Presidency of the Security Council. We wish you every success as you work to support the efforts of the Secretary-General’s Personal Envoy for Western Sahara, President Horst Köhler. The Secretary-General’s report (S/2019/282) of 1 April 2019 details Morocco’s significant violations of the ceasefire and related agreements, which are a cause of great concern to us. Morocco’s growing violations seriously undermine the new momentum created by the Personal Envoy and run contrary to the good spirit in which we, the two parties, were meant to embark on the peace process. As described by the Secretary-General in paragraphs 32 through 35 of his report, the Moroccan army has built and operationalised over 110 km of new sand wall parallel to the existing military wall, in direct violation of Military Agreement No. 1. To this effect, Morocco has built and continues to operate a new sand wall near Mahbas, currently extending 80.26 km north to south at a distance of 8 –15 km from and parallel to the existing military wall. A second sand wall, approximately 30 km long and 15 m from the existing wall, has also been built near Awsard. The Moroccan army has established 16 additional new observation posts in Bir Gandouz and 38 new observation posts in two separate areas near Oum Dreyga all in the Restricted Area. According to the Secretary-General’s report, these new military installations and observations posts constitute a “significant violation” of Military Agreement No. 1. They also violate Security Council Resolution 2440 (2018), which called upon the parties to respect their relevant obligations and assurances, and refrain from any actions that could undermine UN-facilitated negotiations or further destabilise the situation in the Western Sahara (OP 7). At a time when the two parties are urgently called upon to demonstrate good faith and to build trust in the UN political process, Morocco’s significant violations of the ceasefire and related military agreements seriously risk undermining the propitious climate necessary to achieve progress on the political track. As the Security Council has repeatedly stressed, maintaining peaceful and stable conditions on the ground is essential for the peace process to progress. We therefore urge the Security Council to call upon Morocco to immediately dismantle all of its illegal military installations and to desist its destabilising actions, which are fuelling further tension in the Territory and imperilling the UN peace process. As highlighted by the Secretary-General, Morocco continues to restrict the Sahrawis’ rights to freedom of expression, peaceful assembly and association. It deliberately targets human rights defenders, journalists and bloggers covering human rights violations in the Territory. 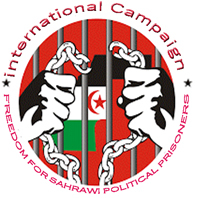 In addition, Morocco subjects Sahrawi political prisoners, including the Gdeim Izik Group of prisoners, to torture and ill-treatment. It continues to deny access to the occupied Western Sahara for independent human rights observers and media, including representatives of the OHCHR, in total disregard for Security Council resolution 2440 (2018), which stressed the importance of improving the human rights situation in Western Sahara and strongly encouraged enhanced cooperation with OHCHR, including through the facilitation of visits to the region. The Frente POLISARIO is also concerned by Morocco’s longstanding restrictions on MINURSO, which drastically hinder the Mission’s ability to access local interlocutors in the occupied Western Sahara and inhibit its operation and functionality. We urge the Security Council to call on Morocco to remove these constraints and to allow the Mission free access to local interlocutors in the occupied Western Sahara. It is unacceptable that MINURSO vehicles continue to bear Moroccan number plates, as detailed in paragraph 56 of the Secretary-General’s report. It is no less problematic that Morocco affixes its stamps on the passports of MINURSO staff members upon entry to and exit from Western Sahara. These longstanding practices should end or risk further detracting from the Mission’s perceived impartiality and credibility. The Frente POLISARIO strongly supports the efforts of the Personal Envoy to build trust between the two parties. We believe that confidence-building measures and concrete gestures of good faith are essential for the next phase of the political process to succeed. As recognised by the Secretary-General, with the destruction of its last remaining stockpile of landmines, the Frente POLISARIO has already taken a commendable first step in that regard. It is regrettable that the other party has failed to initiate similar acts of good faith and refuses to discuss confidence-building measures – even as millions of landmines buried along the Moroccan military wall threaten Sahrawi civilians and their livestock. We strongly encourage the Security Council to call on the other party to initiate good faith gestures and demonstrate the political will necessary to move the political process forward. Progress with respect to landmines, access to the Territory by human rights monitors and the release of Sahrawi political detainees are all areas where Morocco can and should be pressed to demonstrate good faith. In closing, I would like to reiterate the Frente POLISARIO’s strong and constructive commitment to the UN peace process and our full cooperation with the Secretary-General, his Personal Envoy, President Horst Köhler, and the Special Representative and Head of MINURSO, Mr Colin Stewart. As the Secretary-General states in his report, finding a solution to the conflict in Western Sahara will require strong political will from both parties and the international community. We hope that the upcoming renewal of MINURSO’s mandate will be another opportunity for the Security Council to renew its strong support for the UN peace process and for President Köhler’s efforts to relaunch the process of direct negotiations between the Frente POLISARIO and Morocco in line with relevant Security Council resolutions. We are prepared to proceed without preconditions and in good faith throughout the next round of UN-led talks, with the firm objective of achieving our people’s inalienable right to self-determination and independence. I would be most grateful if you would bring this letter to the attention of the Members of the Security Council.